Hold that wish close to you wherever you go. 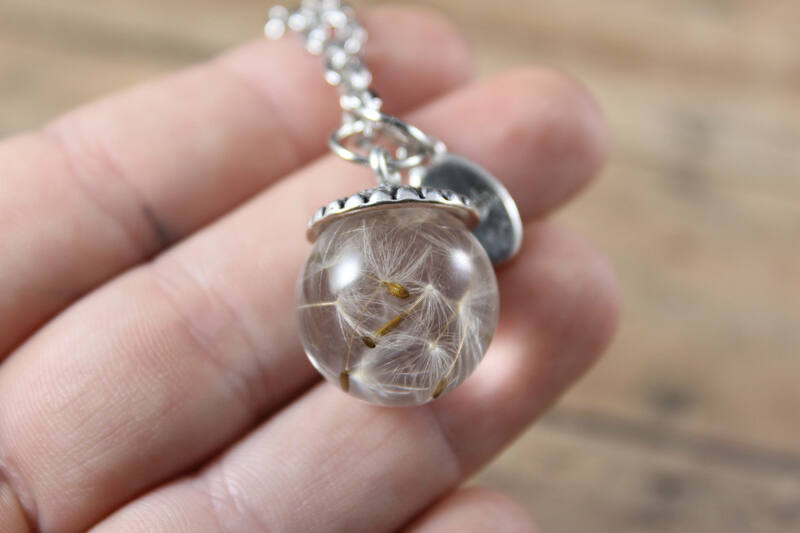 Any time that you need a reminder you can reach down and this necklace will be with you to help you continue on. 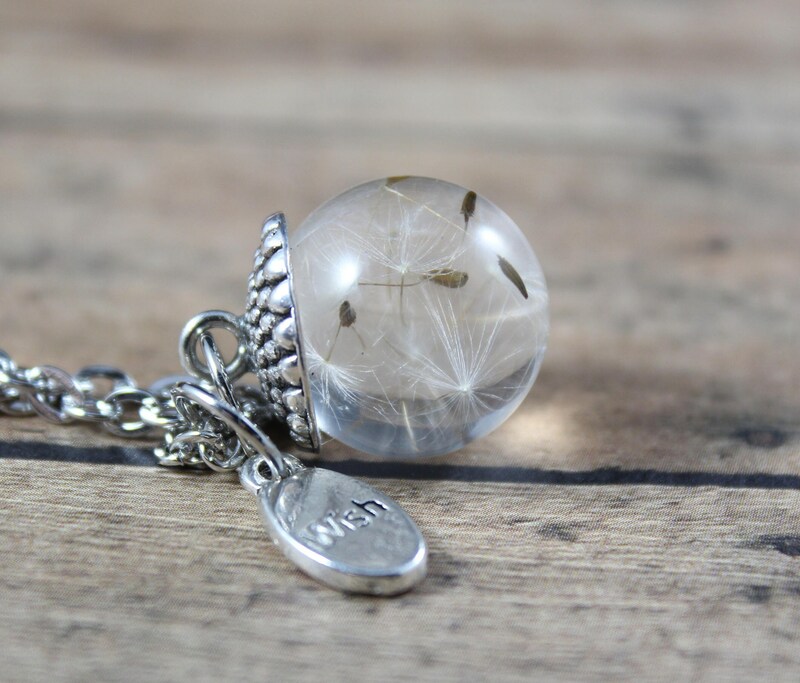 Each wish necklace is different depending on how the dandelion fluffs land. There will be a slight difference in your necklace than the one pictured.